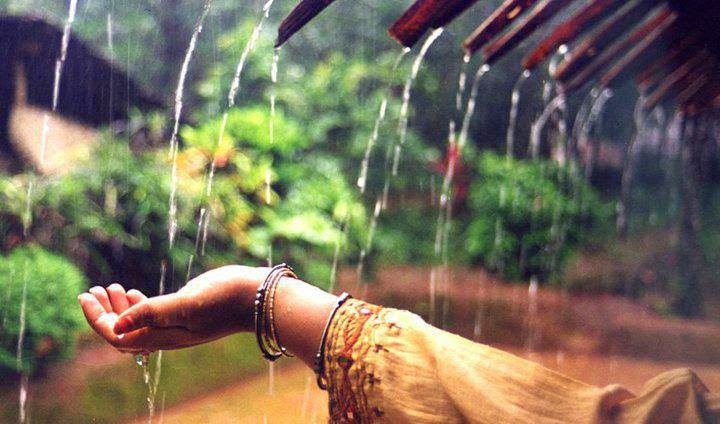 Rain with its cold, silver fingers caresses my face seducing me with the fragrance of petrichor. I plead for your warmth. Your touch summons a storm of wondrous sensations. Your lips curve. The syllables of my name arise from them stoking alive a secret fire within me. Like an unanswered prayer, it hovers to my mind’s altar paralyzing my senses. Time stills as you pull me into an embrace. Nothing this world offers tastes better than your kisses. My soul rejoices in your presence. You have adorned our cocoon with sprays of red roses and blooms of fiery carnations. You tell me the wavy edges of the carnations remind you of me. Something about them whispers innocence. But how do you connect me with innocence? Agreed; I rarely remember the darkness of those alleys from which you rescued me these days. Your love has purified me in entirety. No one barges in to claim my flesh. I do not hide under masks of garish makeup. My skin glistens with the sheen of happiness. The sindoor that you smear in the parting of my hair every morning reminds me I am the mistress of this home. The laughter of our daughters strengthens my faith. I open my notebook to jot down the precious memories. One day, our daughters should know the truth. It will teach them the power of prayer, the heartfelt call for help that always gets answered. Our story that is coming alive in these pages resembles a blistering medieval romance, with all the gore and drama. The one that shines through every line is you, my knight of honor. You laugh when I call you by that name. And I fall in love again… one more time. With all your senses, "Fall in Love - One more time"
A beautiful tale of love and what makes it engaging is the terrific opening words stroking the soul. Wow Preethi.. that was a sweet one.